WASHINGTON – Aug. 4, 2017 – It looks less likely that Congress will finalize a flood-insurance bill (the “21st Century Flood Reform Act” or H.R. 2874) before the National Flood Insurance Program (NFIP) is scheduled to expire. Congress must pass the bill and President Trump must sign it before Sept. 30 to avoid a disruption in flood insurance coverage. However, lawmakers won’t return to Washington until Sept. 5, Wells says, and both chambers “have many issues to deal with.” While bill passage is still possible, she considers it unlikely before the deadline. While the flood insurance bill’s passage remains a concern, home-buyers face a more immediate problem after Oct. 1: Mortgage lenders require proof of property insurance before they will lend money at closing, and they require proof of flood insurance if a property is located within a FEMA-designated flood zone. 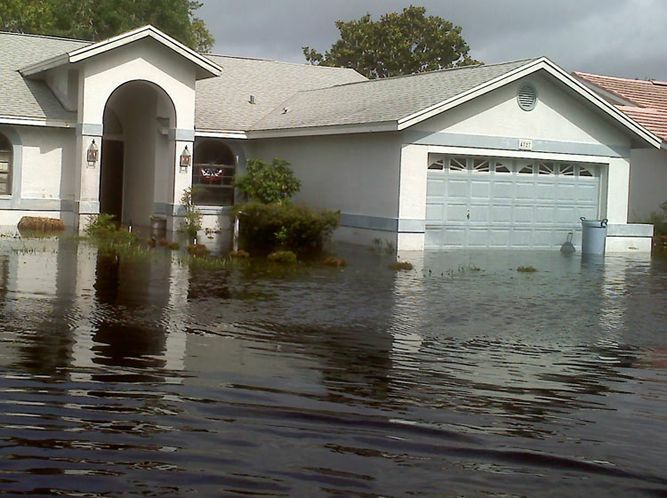 If homebuyers can’t secure proof of flood coverage, their closing could be cancelled or delayed. Wells has been active in the NFIP reauthorization effort working with the National Association of Realtors® (NAR) and directly with lawmakers. Should Congress fail to pass H.R. 2874 before the deadline, she says NAR is hoping Congress will pass a short-term extension of the current program to avoid coverage interruption. The bottom line for Realtors selling homes in flood zones: Assume flood coverage will expire after Sept. 30 and plan accordingly. “Be on the lookout for a Call To Action around Aug. 22, 2017, to urge the reauthorization,” adds Wells. A Call to Action is one of the strongest tools in Realtors’ arsenal. Once issued, it asks all members to email their lawmakers, a move that takes only a few minutes through NAR’s automated system.